Yelling at opposing players, coaches and fans from the stands is common practice during college sporting events. But not as common is for players and coaches to yell back — unless you’re Pitt head coach Kevin Stallings, who did just that to a fan in the stands toward the end of last week’s game against Louisville. Stallings was referring to the FBI investigation that found the Louisville basketball program to be guilty of several recruiting violations, including working with Adidas to offer one prospect, Brian Bowen, $100,000 to sign with Louisville. The FBI is still investigating Louisville for further violations, after which the NCAA will conduct its own investigation. If proven guilty, Louisville could face extreme consequences. Even though his criticisms were legitimate, Kevin Stallings, of all people, should not be yelling at fans during games, because he has a history of getting caught saying inappropriate things on the sideline. He knows the kind of scrutiny this can bring from fans and media alike. Stallings received a lot of publicity back in 2015 when he told one of his own players at Vanderbilt, Wade Baldwin IV, “I’ll (expletive) kill you.” This was after a game — which Vanderbilt won — during the handshake line, when the camera caught him turning around and screaming this directly in Baldwin’s face. Stallings later apologized for his actions, but most fans haven’t forgotten that incident. Both the Washington Post and the Pittsburgh Post-Gazette referenced Stallings’ incident at Vanderbilt in their coverage of his most recent slipup. Considering his background, Stallings needs to bite his tongue while on the sideline. It would have been perfectly okay for him to say something about Louisville or the fans during the postgame press conference, but not during a game. The head coach should be more focused on what plays to call and whom to substitute than what the fans are saying. Stallings’ lack of composure when being heckled by a fan shows a disconcerting lack of control in a relatively low-stakes moment. Yes, he was probably being yelled at for the entirety of the game, and that can be frustrating. But if Stallings had just saved it for the postgame press conference, he would have had the chance to formulate something better to say than a cheap comeback during the game. Stallings was speaking up for his players, as a good coach should. The motivation for his outburst is what separates this incident from the one with Baldwin. At Vanderbilt, Stallings was attacking one of his own players — in this case, he’s defending them. Stallings has a reputation as a fiery guy on the court, but we see here he cares deeply for his players. But there is a better time, place and way to go about doing that than snapping back on a whim during a game. Stallings seemingly admitted he knows what he said was unnecessary quip at an inappropriate time. He continues to back up the players, though, which is crucial for a team that isn’t doing so well regarding its record. 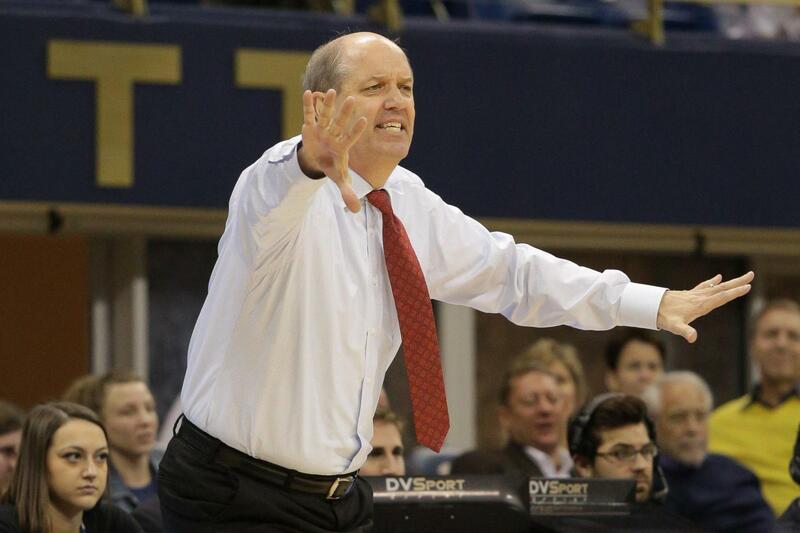 Stallings needs to make smarter decisions than this while in the spotlight during a game. As long as he supports the players, it’s okay for Stallings to say what he said — it just needs to be in the right setting.